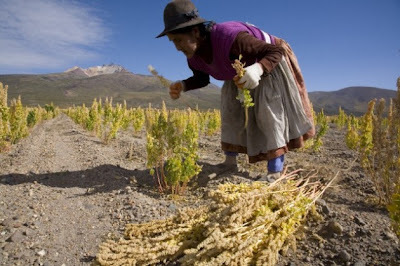 Quinoa - from the Spanish spelling of the Quechua - is an important edible crop which originated in the Andean region of Ecuador, Bolivia, Colombia and Peru. It was successfully domesticated 3,000 to 4,000 years ago for human consumption, though archaeological evidence shows a non-domesticated association with pastoral herding some 5,200 to 7,000 years ago. 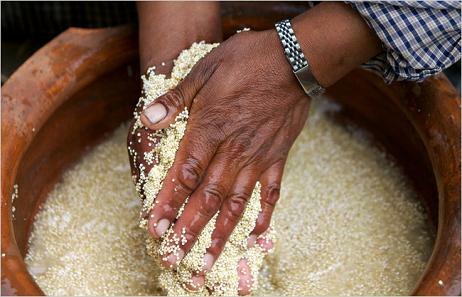 The Incas, who held the crop to be sacred, referred to quinoa as chisaya mama or 'mother of all grains'. During the European conquest of South America, the Spanish colonists scorned quinoa as 'food for Indians', and even actively suppressed its cultivation due to its status within indigenous non-Christian ceremonies. In fact, the Conquistadores forbade quinoa cultivation and the Incas were forced to grow wheat instead. 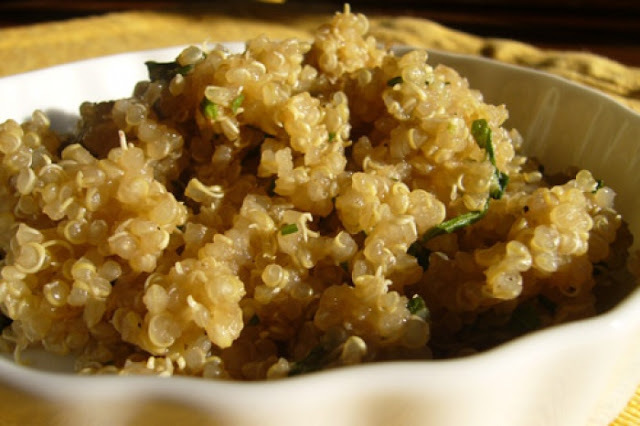 Though not technically a grain, quinoa can substitute for nearly any grain in cooking. Actually a seed, this leafy plant is a relative to spinach, beets and Swiss chard. Due to its delicate taste and rich amounts of protein, iron, potassium and other vitamins and minerals, it is quite popular. It is also a good source of dietary fiber and is easily digested. Quinoa does best in sandy, well-drained soils with a low nutrient content, moderate salinity, and a soil pH of 6 to 8.5.The seedbed must be well prepared and drained to avoid water-logging. Normally in the Andes, Quinoa seeds are broadcast over land and raked into the soil. 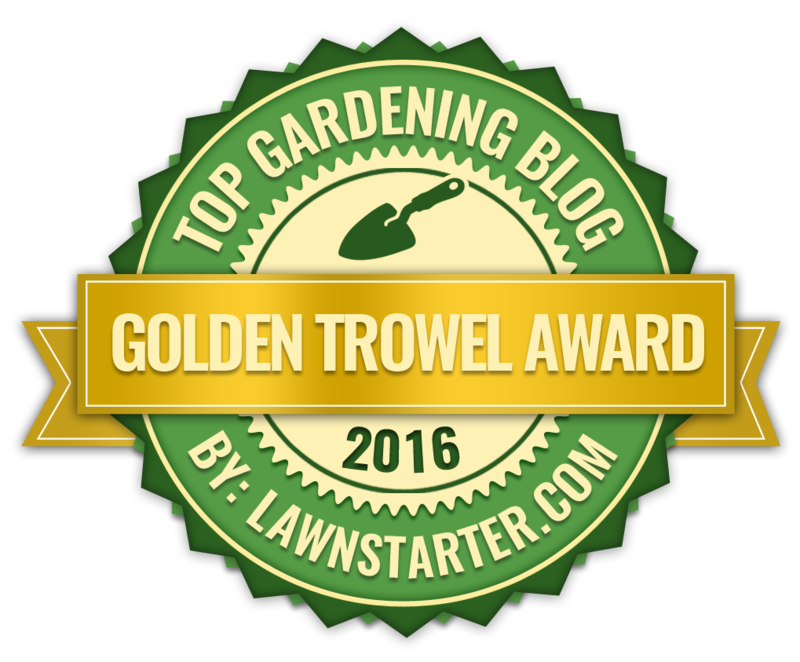 Sometimes it is sown in narrow, shallow soils. A quinoa seed is flat and has a pointed oval shape, and can be found in several different colours including yellow, red, brown and black. When cooked, the seed expands to about three or four times their original size. They also have a unique texture; the seeds themselves are smooth and creamy, but the tail has a crunchy texture. When preparing quinoa, it should be rinsed first to remove any powdery residue. The simplest way to do this is to place the grains in a strainer and rinse them until the water runs clear. For a roasted flavour they can be toasted in a dry skillet for about five minutes.